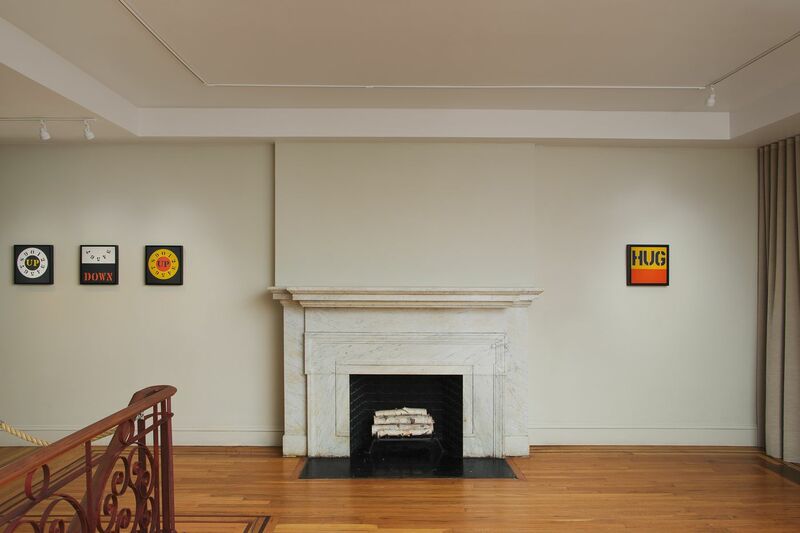 NEW YORK – Craig F. Starr Gallery is pleased to present a group of largely unknown, rarely exhibited Robert Indiana paintings, on view September 10 through October 31, 2015. 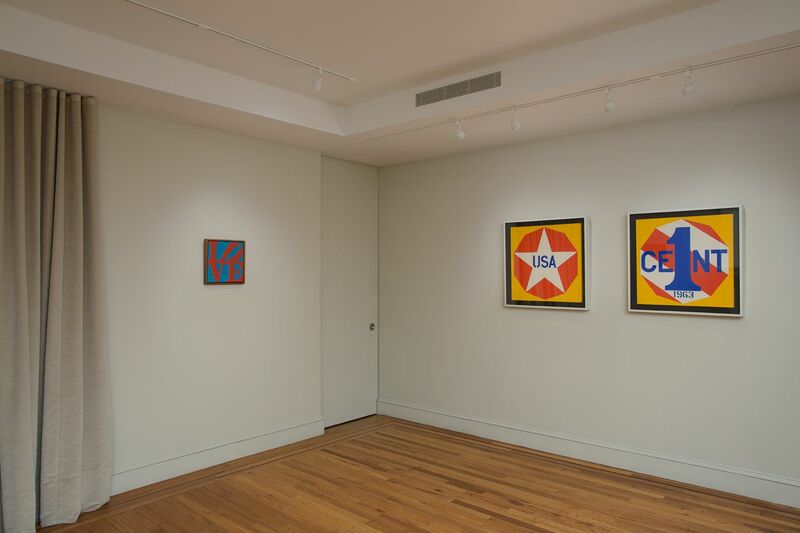 Early in his career, Robert Indiana painted around two dozen small-scale canvases (most are approximately one foot square). These paintings laid the groundwork for what would later become the artist’s signature Pop style. 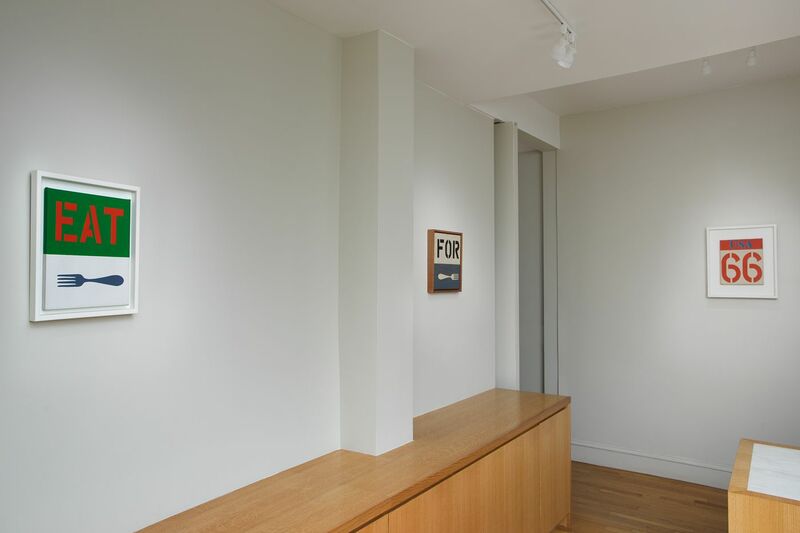 While a few have been shown alongside later work, a substantial group of these paintings has never before been brought together in a single exhibition. 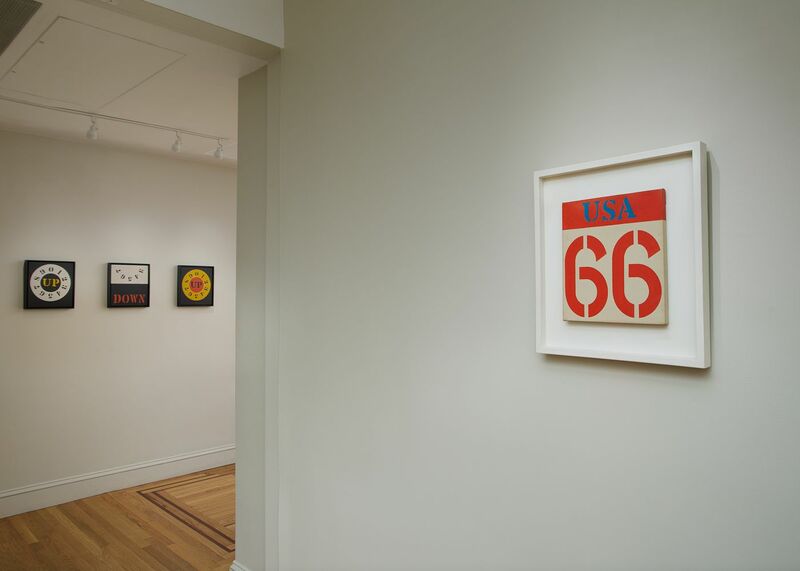 Co-curated by the renowned art historian, John Wilmerding, Robert Indiana: Sign Paintings, 1960-65 is the first exhibition to closely examine this important series of paintings and includes 17 examples. Works on view include loans from the artist, private collections, and public institutions. The paintings illustrate Indiana’s transition from abstract composition to the use of words and numbers. The earliest paintings are clean, simplified geometries, like RA and Coenties Slip (both 1960). 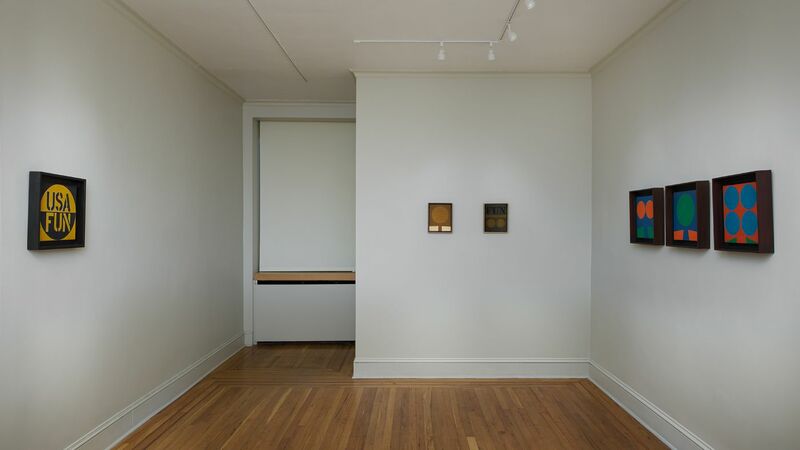 These works show the influence of Ellsworth Kelly, who shared studio space with Indiana as early as 1956, working at that time with simple outlined forms abstracted from botanical and architectural fragments. 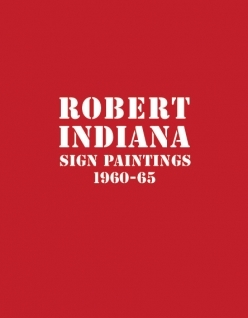 In 1961, Indiana began to include three- and four-letter words in simple block lettering derived from found stencils in his designs, alongside the abstract shapes. 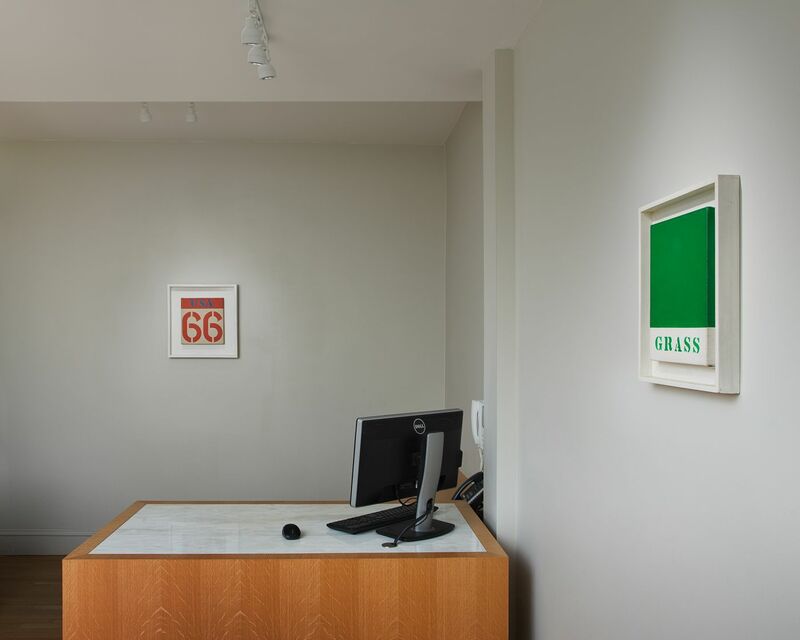 FUN, from the Spencer Museum of Art, The University of Kansas, is a characteristic example of this mixing of visual and verbal signs – as is GRASS, where the stenciled word is situated below a field of green. The following year, Indiana began incorporating numbers and phrases into these compositions, engaging in linguistic play between the verbal and the numerical, such as “TO” and “2.” In FOR, 1962, the artists pairs the word with the image of a fork, creating a visual-verbal rhyme between adverb and noun, while also playing on the number of prongs on the fork itself (four). Another highlight from this year is Route 66, on loan from the Weatherspoon Art Museum, The University of North Carolina at Greensboro. It specifically recalls the gas stations and road signs of the American highways that were of great influence to Indiana. Route 66 is one of several works in the show in which “USA” imagery appears. 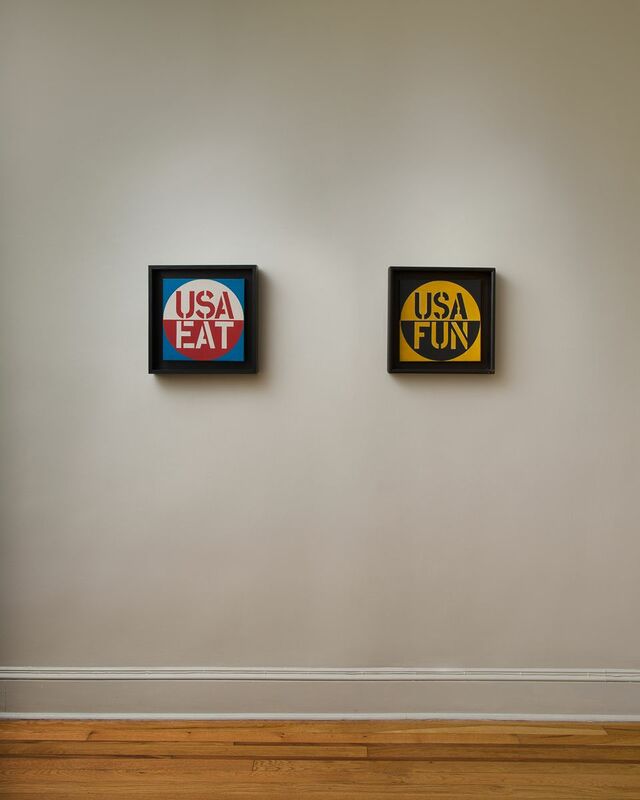 The others are USA/FUN (1964), USA/EAT (1965), and the 1963 diptych, New Glory Penny. In 1963, the magazine Art in America commissioned six sculptors to provide hypothetical new designs for the United States currency; Indiana was assigned the penny. His proposal for a ten-sided plastic coin inspired this diptych. 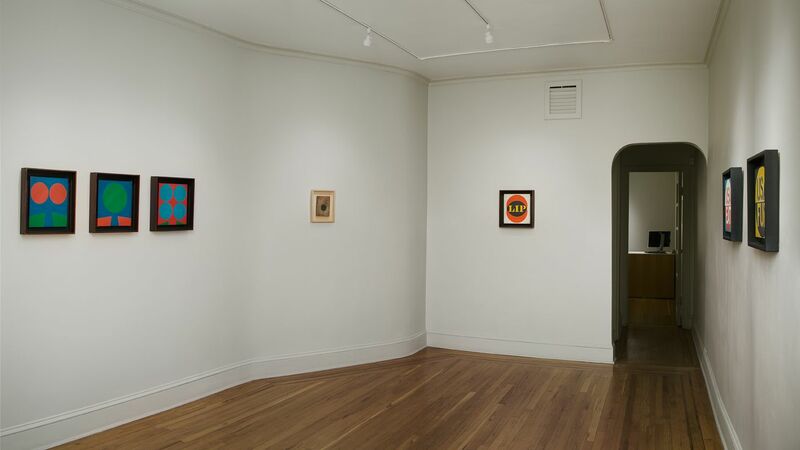 With each painting measuring twenty-four inches square, it is the largest work on view and links the early, small-scale work to the larger canvases he would begin to produce in the second half of the 1960s. Robert Indiana was born Robert Clark in New Castle, Indiana, in 1928. He enrolled in the school of the Art Institute of Chicago in 1949 and moved to New York in 1954. In 1958 he changed his name to Robert Indiana, taking the name of his native state and declaring that he would be an “American painter of signs.” His works are in the permanent collections of important museums including the Museum of Modern Art and the Whitney Museum of American Art in New Yok, the National Gallery of Art, the Hirshhorn Museum and Sculpture Garden and the Smithsonian Museum of American Art in Washington, D.C., the Ablright-Knox Art Gallery in Buffalo, New York, the San Francisco Museum of Modern Art, the Menil Collection in Houston, Texas, the Currier Museum of Art, Manchester, New Hampshire, the Museum Ludwig in Cologne, Germany, the Stedelijk van Abbemuseum in Eindhoven, Netherlands, the Museum Ludwig in Vienna, Austria, the Shanghai Art Museum in China, and the Israel Museum in Jerusalem. In 2013 the Whitney Museum of American Art presented Beyond Love – a major retrospective of the artist’s work. John Wilmerding is Sarofim Professor of American Art, emeritus, at Princeton University. 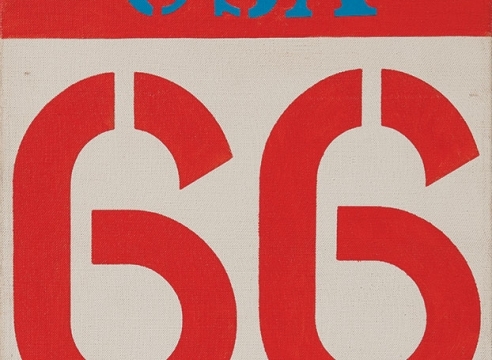 He is the co-author of a book and two exhibition catalogues on Robert Indiana. The exhibition is accompanied by a fully illustrated catalogue and will contain an essay written by Wilmerding.